At the top of the Transaction Entry screen, you are going to see various fields that reference different items in the patient’s account. These items can help you with various parts of the billing process. In this section we will discuss those fields and the information that can be found by using them. The items referenced on the default screen relate to the case that is selected. They do not relate to one particular transaction. Last Payment Date: This field shows you the last time a payment was made to this patient’s chart. This field will be the same for each case a patient has. Additionally, this field is referring to any payment made to the account. It does not matter whether the payment came from the insurance carrier or from the patient. Last Payment Amount: Similar to the Last Payment Date field, this field is chart specific. It will show you the amount of the last payment made into the patient’s account. Last Visit Date: Medisoft will automatically track visits for you. A visit is defined as a calendar day for which one or more CHARGES have been entered for a case. Visits are tracked on a case by case basis, meaning each case will have a different date. This field shows the date of the last visit for the selected case. Visit: When setting up the patient case, you had the opportunity to specify the number of visits that were authorized by the insurance carrier. Certain carriers will authorize a certain number of visits for certain circumstances. These are done using what is known as authorizations. Each authorization would require a separate case. The visit field automatically tracks how many visits have occurred in that case (and therefore under that authorization). It uses the same definition of a visit that was previously given under Last Payment Date. This field can prevent the office from seeing patients who have met or exceeded their authorized number of visits, and therefore will not have coverage for that care. Additionally, the office can then let the patients know that they are getting close to their limit, and then let the patients take appropriate action to either obtain another authorization, or find an alternative means of care. If this field is for some reason showing the wrong number of visits, you can manually change it from this screen. Simply double click the word Visit. The following screen will appear. You will be able to increase or decrease the Visit Number as needed. Once the changes are made, click OK. This process will change the visit series number listed in the patient’s case information. Global Coverage Until: If you enter a Global Surgery code for this case the Global Coverage Until field will automatically calculate the date by taking the date that the global procedure was entered and adding the number of days entered in the procedure code. Account Alerts: Account Alerts are red, two letter codes that are designed to alert you when the customer meets certain conditions. In order to receive some or all of these account alerts you must check them in Program Options, in the General tab, at the bottom in the Account Alert Settings area. Account Aging: Depending on the tab being viewed, it will show the aging of the insurance carrier or the patient. The total will indicate the total amount from the insurance carrier’s or the patient’s aging. On the Patient’s tab it will indicate if there is any copay overdue. On the insurance tab TNB stands for Total Not Billed indicating that the claim needs to be created and sent. Policy Copay: When entering the information into the case, you have the ability to enter a copay amount. The amount entered into that field will appear in this field. Medisoft will not automatically enter the copay for you, but it will help track missed copays. There is a new report call Outstanding Co-payment Report. OA: OA is an abbreviation for Other Arrangements. This is a field in the case setup screen that will allow you to enter 4 characters. Whatever is entered into that field will appear in this portion of the screen. Annual Deductible: Similar to visits, deductibles are handled on a case by case basis. You can enter the annual deductible into the insurance carrier tab of the case screen. YTD: If you enter deductible type codes into a patient’s account, the amount field is filled out with the amount of the charge that was applied to a deductible. When this is done the accounts receivable for the patient is not affected. You simply move the balance responsibility from the insurance carrier to the guarantor. The amounts entered into deductible type transactions are totaled for the case and displayed in the YTD field. 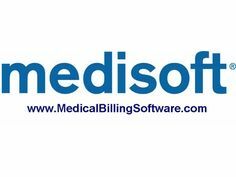 Medisoft will track deductibles for you on a case by case basis. It is important to note that the only party whose calculation matters is the insurance carrier. Simply because Medisoft states that the deductible has or has not been met, does not mean it is true. If the patient has been seen by any other providers for any reason during that year, they will have made payments that were applied to the deductible. These transactions will not be in your providers system. Charges: Shows the total number of charges that appear on the currently displayed Transaction Entry screen. If you are utilizing the Superbill or Document Number fields, this will be the total number of charges that have been entered into that specific superbill or document number. Subtotal: This field displays the sum of the Charges and Adjustments fields. The reason we state that it displays the sum is because the Adjustments field can contain either positive or negative values. Balance: The Balance field shows the total balance for the transactions currently displayed. These transactions are specific to the case that is currently selected. If you are utilizing the Superbill or Document Number fields, this will be the balance on the transactions entered specifically for that superbill or document number. Account Total: This field is different from the other total fields that have been previously explained in one very important way. The Account Total field shows the entire balance for that patient’s account. This balance does NOT filter based on Case, Document, or Superbill. If you delete transactions in the day to day operation of the program, this amount may show an incorrect balance total. In order to recalculate the amount, simply double-click on the amount. Calculate Totals: The Calculate Totals field is located in the lower left corner of the Transaction Entry screen. If this field is selected, the totals will appear. If it is not checked, the only value that will appear is the Account Total field.